After more than a decade spent focused on enterprise networking, San Jose-based Ubiquiti is looking to apply its workplace wireless expertise for a home audience. 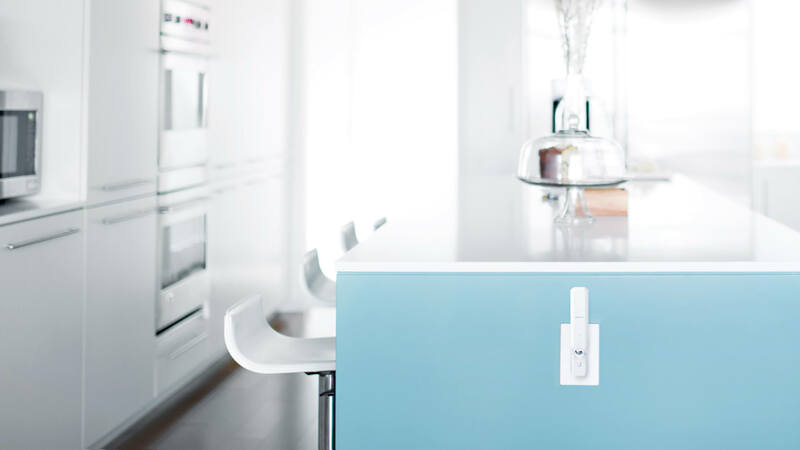 The company, co-founded by ex-Apple employee turned Memphis Grizzlies owner, Robert Pera, is making the move into the consumer space with the new Wi-Fi system, AmpliFi. “We see a great opportunity to leverage our years of experience in wireless communications and networks to make great products for the connected home,” Pera told TechCrunch. The system ships in three configurations, starting at $199. That level features a router and two wireless extenders, while two additional premium levels expand coverage. AmpliFi utilizes 802.11AC technology, offering up 2.4 GHz and 5 GHz band support. The company promises plug-and-play functionality here, coupled with a mobile app that offers speed testing, guest mode and around the clock support. It’s a pretty good looking network system as well, with a design reminiscent of Nest, including a large LCD on the base that offers up the speed. “Unlike traditional routers, our system was designed from the outside, resulting in products that can be proudly displayed in every home,” explains Pera. The system is available for pre-orders and will starting shipping this summer. It’s the first of what looks to be a much larger consumer focused pitch for the company, courtesy Ubiquiti Labs, a newly announced R&D facility launched in Latvia.